Midnight Movie Monographs are a series of books covering forgotten grindhouse gems. Films in the series including Death Line, Martin and Theatre Of Blood. This volume focuses on the anthology of Poe adaptations of Spirits Of The Dead (also known as Histories Extraordinaires). It provides a meticulously detailed account of the film’s genesis and production, an analysis of each segment (Metzengerstein directed by Roger Vadim, William Wilson directed by Louis Malle, and Toby Damnit directed by Federico Fellini), it’s afterlife on various formats after release as well as the original stories that inspired the film. Although overshadowed by the better known AIP versions of Poe’s works, Spirits Of The Dead is an interesting curiosity, which as Lucas points out, straddles the line between grindhouse and arthouse, both surreal and shocking. One of the most interesting inclusions in the book was the impact it had on the author, who saw it at a young age, then describes a failed attempt to secure a repeat viewing at the cinema (which is both endearing and a salient reminder about how easy we have it these days, where practically any cultural artefact can be accessed in a matter of minutes via the internet). The author’s love of the film comes through on every page. The chapters analyzing each segment give a scene by scene breakdown, with the production background discussed and comparisons with the source material made. The chapter on the Fellini segment was particularly interesting, coming at a difficult time in his life, when he’d suffered illness and bereavement and this is explored in detail. Overall, this is a heavyweight look at this film, perhaps not for the casual reader but if you are a fan of the film, this is unquestionably the definitive look at it. The turning of the year provides ‘Tales From The Black Meadow’ author Chris Lambert with the thematic basis for his new ‘Wyrd Kalendar’ compendium, a collaboration with illustrator and Folk Horror Revival creator Andy Paciorek. Each darkly spun tale matches with a chosen month of the year, providing a folkloric and portmanteau feel to the book, with Paciorek’s richly detailed and haunting artwork prefacing the individual chapters. This work therefore takes us from the frostbitten and hungry underground denizen in January’s ‘The Resolution’ (a tale of Lovecraftian imagination with a conclusion that will stay with you long after you have closed the pages of the book) to the terrifying timeslips of ‘February 31st’, the ‘king for a day’ twists and turns of April’s chilling ‘Chasing The Gowk’ to the twisted and disturbed nursery rhyme of ‘May Pole’. As the wheel of the year spins increasingly faster the sense of the unsettling and macabre if anything increases, ‘June Bug’s hugely effective body horror is reminiscent of one of Nigel Kneale’s scripts from ‘Beasts’ whilst July’s ‘Grotto Day’ is a deeply unusual and disquieting take on the brownie or ‘little people’ legend. 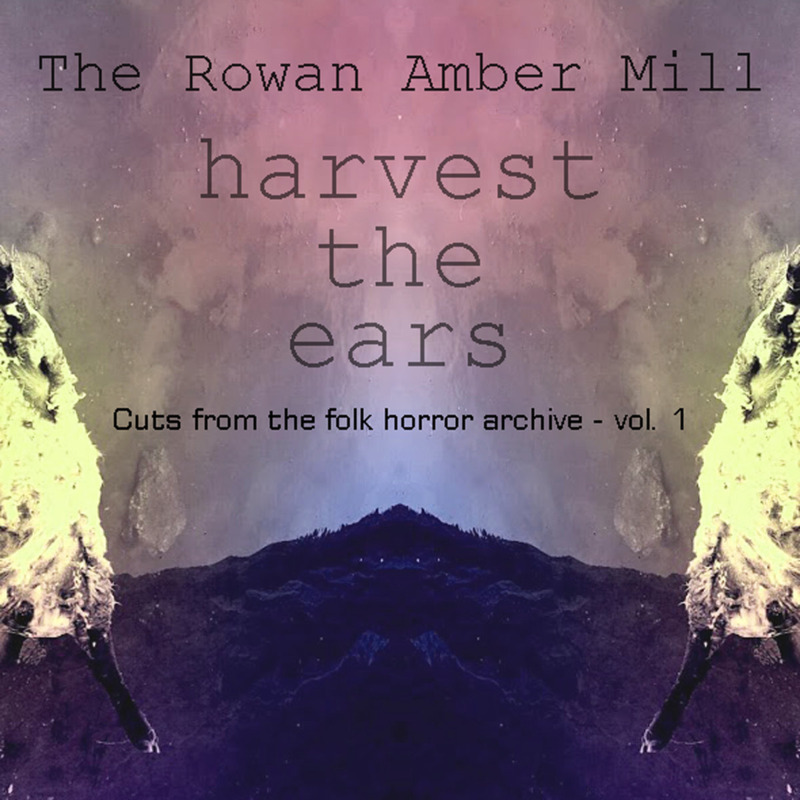 August’s ‘The Weeping Will Walk’ is distilled folk horror, both subtle and suggestive in what darkness lies within the village ritual; October’s ‘The Field’ continues this folkloric aspect to even bloodier and satisfyingly grimmer heights. There is a distinct filmic or theatrical quality inherent in these dread tales; one can easily imagine a number of these being either staged or filmed; never mind ‘A Ghost Story For Christmas’, how about ‘A Ghost Story For Each Season’? November’s pitch black poem ‘All Saint’s Day’ (where the blood almost drips from the page) and December’s festive yet foreboding ‘Santa Claus And The Witch’ bring the Kalendar to a fittingly horrific close; yet there is the distinct impression that the spectres and wraiths contained herein will undoubtedly start back at their practices as before, the cycle of the year bringing them once more to terrible and terrifying life. For aficionados of folk horror, weird fiction (especially readers of Robert Aickman’s dark and unusual stories), of Lambert’s excellent previous outing ‘Tales From The Black Meadow’ and of Paciorek’s intricate and beautiful ink work this volume comes highly recommended. 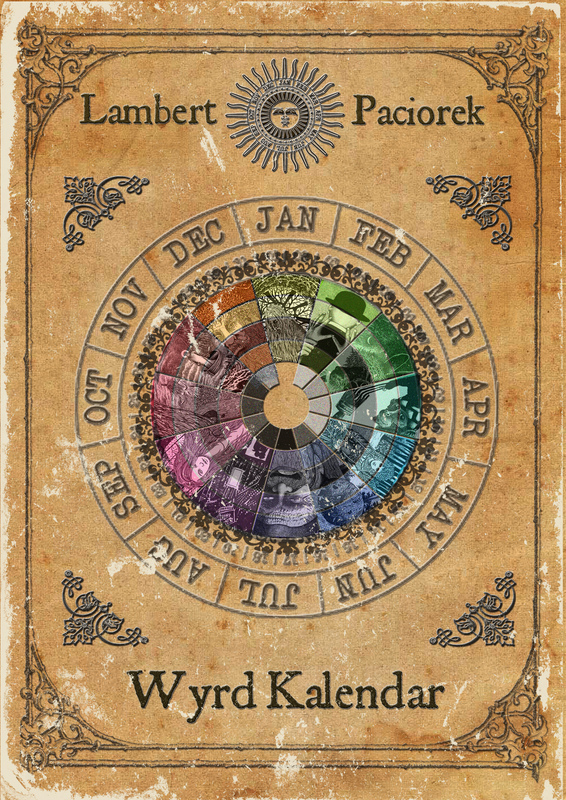 We all must keep and mark our time; why not do so with the Wyrd Kalendar?